PROMO: Buy a new DSA875 spectrum analyzer along with DSA800-EMI option + NFP-3 probes + S1210 PC software until 31.12.2016 and get 8% off. 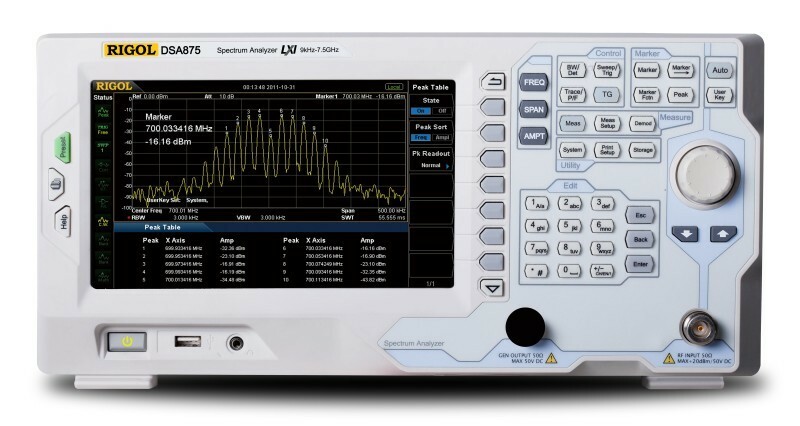 DSA875 is the high performance compact size and light weight Spectrum Analyzer. The frequency range is from 9kHz to 7.5GHz. The digital IF technology guarantees its reliability and performance to meet the most demanding RF applications.